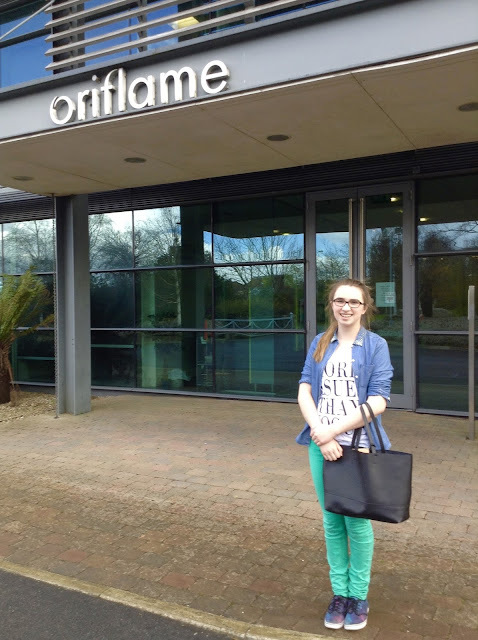 I got the chance to spend two days at Oriflame Research and Development during the Easter holidays for work experience. For the two days, I was with Jane Bonner (another Jane! ), the lead hair care chemist, in the Oriflame laboratories. Oriflame is a Swedish cosmetics company that sells their products through consultants in over 60 countries (check out their website). I've been able to try out a few of their makeup products, as you may have seen in my February Favourites video - they are terrific (especially the lipsticks). However, I spent my time in Oriflame learning about haircare products and got an idea of what Jane's job is like everyday. Now I appreciate haircare products a lot more, and have an even bigger interest in the beauty industry, the marketing and science sides to it! On the first morning, after signing a few documents, Jane showed me a presentation on an upcoming Oriflame haircare range. Following a quick break, we got our lab coats on and headed to the laboratory where Jane works. When she told me we were going to make a batch of anti-dandruff shampoo, I was so excited! We gathered the chemicals needed for the shampoo, and I got to measure them out. It's tough; you have to be very accurate, and accidentally a few times I went over the weight requirement :/. Thankfully, Jane was able to fix it. The way there is so much effort put into making one batch of shampoo at Oriflame really amazed me. You have to be patient and have a steady hand. 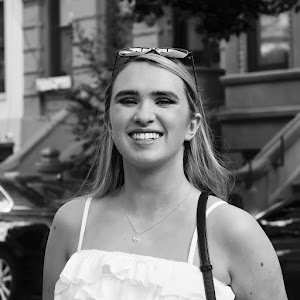 There are loads of different ingredients with different purposes that make up haircare products, and I loved learning about them. For example, in shampoos there are anionic surfactants (for cleaning the hair), pearlising waxes (for the appearance of the shampoo), non-ionic surfactants (for the thickness), silicones (for conditioning the hair) and of course fragrances (for the gorgeous scents). And they're only a few of the things needed! After lunch, we finished off the batch and waited for it to be fully mixed before Jane allowed me to pick out an Oriflame fragrance for my own sample of the anti-dandruff shampoo. I chose the fresh and fruity 'mint and raspberry' scent. I was over the moon bringing that home, as well as the cool Oriflame catalogue. Before heading back home though, Jane received the samples of fragrances for the new haircare range to test. There were three for each subrange. Jane gave me a sheet, and I got the chance to test out the scents and rate them from one to three, one being my favourite, and three being my least. I've never smelt so many scents in such a short space of time ever, not even when browsing duty free at the airport! I really enjoyed that as I love perfumes and nice smelling things (I guess everyone does though!). There were some fragrances I remember that I really, really liked and I hope they'll be picked for some products in the range. The next morning, I helped Jane with testing some four week old shampoo batches. We tested for the odour, colour, appearance and pH levels. I measured the pH levels. It was quite repetitive work, but it is important and I really got to grasp the idea of working in research and development. As well as testing and helping out in filling the documents at her desk, she showed me around the labs some more. She also told me more about her career, and how she's moving into skincare at R&D. We went through what kinds of chemicals are in skincare products - in sun care and daily SPF products there are lots of UV protection ingredients! We also made a batch of hair conditioning spray, and again I helped with the measuring. We went through a presentation on hair, haircare and hair damage. Promptly afterwards, since we had time before three o'clock (which was when my day at Oriflame was over), Jane showed me how Oriflame use their colour tester (which is called a spectrophotometer). They use it for testing the effect a product has put on the colour of hair. It tests for the lightness or darkness, red or green tints and blue or yellow tints. Together we tested the colour of three samples of hair, one blonde strand, one black and one red. For example, the result from the lightness / darkness test on the blonde hair was 74.51, meaning it is light. I saw and understood how this would be used after testing products on hair, as a product could alter a hair colour in some way (whether that's on purpose or not). That was a really interesting thing to do to end the day. Oriflame has an extensive range of products! I had a really fun time at Oriflame Research + Development. It got me thinking about that kind of career path, and now I have an even bigger interest in beauty. Jane Bonner was so friendly and I was so grateful she took me for two days. She also gifted me with some amazing Oriflame make-up, skincare and bath products (expect to see them mentioned here or on my channel soon). Thanks Jane! I can't wait to try out my shampoo. Can you believe I made one?! Neither can I! That is SO cool! I never would have thought about everything that goes into making shampoo and hair care products. What a neat experience! I really like Oriflame products! I won a hamper last year and their lip balm is amazing. I didn't realise there was a Oriflame research and development centre in Ireland. The notes for Beyonce Heat Ultimate Elixir venice fragrances scent are the same for Beyonce Heat yet more grounded. Subsequent to considering the kind of perfume,Lucy Liu Face Cream the tips you can know when you need to pick the perfume is in underneath. How one can visit Oriflame R&D lab?